SynthSound is proud to announce the release of the new EVO ( Enhanced V.A.S.T. 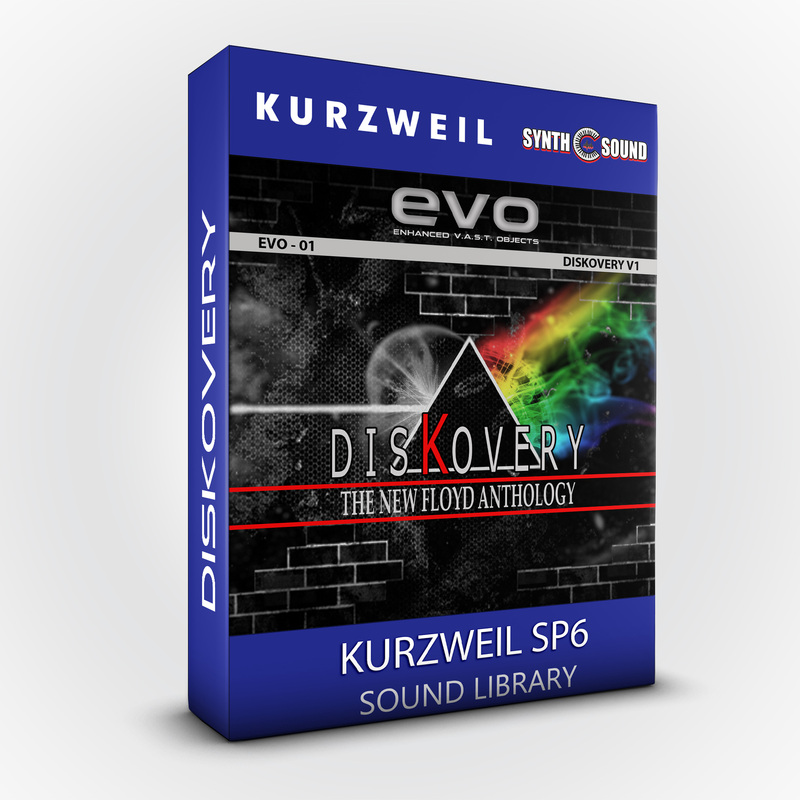 Objects ) Sound Library exclusively for your Kurzweil SP6. It is the first collection of samples and programs inspired by the most famous songs by legendary band "Pink Floyd". This extensive sound collection has been developed with maniacal attention to details. Over 74 new sounds entirely programmed from scratch. Ideated, designed from scratch and performed by Alex Di Donna ( Synthsound ).